Does stubborn stomach fat prevent your beautiful abs from being all they can be? You may know diet and exercise are important but do you understand how they work together to produce optimal results? A little education to help you understand the mechanics of fat loss may be the motivation you need to develop healthy eating and exercise habits. Then, if your healthy lifestyle doesn’t banish stomach fat, we’ve got a solution for you. We hear so much about good nutrition that it’s become part of the white noise in health talk. There’s a reason everyone talks about nutrition as the answer to all your health and fitness goals – it’s the foundation that supports all your efforts. Here’s the secret: you won’t lose fat unless you give your body the calories it needs. Your metabolism works best when it has the fuel it needs to operate. Fueling your body with good calories (vegetables, healthy fats, lean meats) allows your body to build muscle. In turn, muscle burns fat. You already know exercise is a key part of losing belly fat. But, do you know how to exercise for optimal results? Not all exercise programs are created equally. Figuring out what types of exercise create the results you want will dramatically improve your experience. Want to get rid of stomach fat? Exercise your whole body. A routine that only includes crunches and core exercises won’t get the results you’re looking for. You can’t spot-reduce fat — and that’s great news because every exercise will help you reduce stomach fat. Exercise increases your metabolism and makes your body more efficient at burning fat even when you’re resting. Plus, when done correctly, most exercises use core muscles in some way. Walking and jogging are great for the heart, but they won’t burn fat in the same way as cardio intervals and strength training. If you’re exercising to reduce fat, you’ll want to combine strength training with cardio intervals. For the cardio part of your routine, mix high and low-intensity activity. This might include walking and jogging, but that shouldn’t be the only thing you do. Strength training is crucial to fat burning. Remember, muscle burns more calories than fat. When you build muscle, you make your body efficient at eliminating fat. Make strength training and cardio intervals part of your regular routine and you should see results in a matter of weeks. If you have a healthy lifestyle of exercise and nutrition but still struggle with belly fat, consider opting for a CoolSculpting procedure. This process eliminates fat by freezing out fat cells. The fat cells die and your body processes the dead fat cells leaving beautiful abs behind. 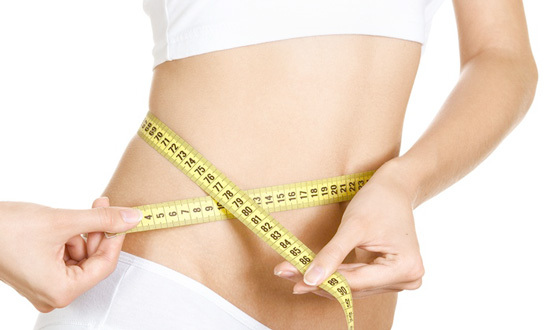 The FDA has cleared this non-surgical procedure for eliminating stubborn fat with lasting results. A lifestyle of good nutrition and exercise will leave you feeling good about yourself. Add a little boost from CoolSculpting and you can have the abs you’ve always wanted.